When considering a facility to engage for your next prototypes to production manufacturing project, the methods and equipment the facility uses can be the difference between success and failure. 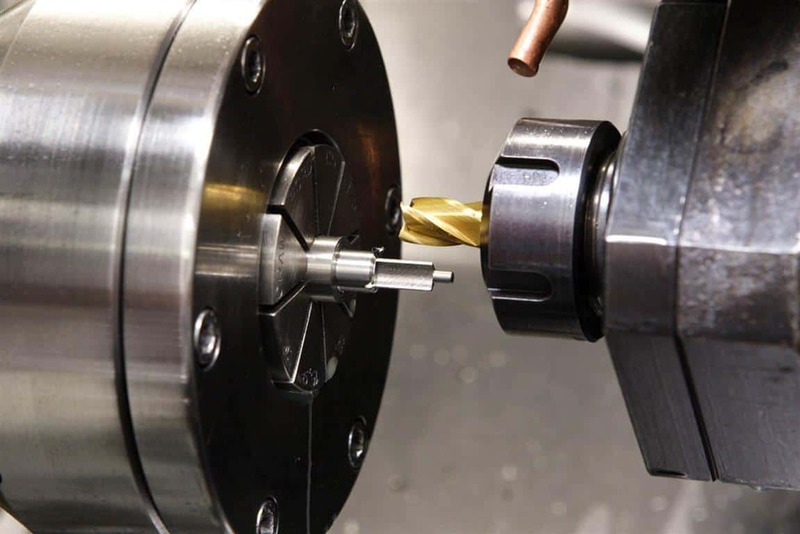 As technology advances, the art of close tolerance machining, small part machining and prototypes to production manufacturing processes are critical to the success of the venture. Let’s discuss some of the advantages of choosing a CNC machining center facility. Conventional machining may not be an option. In today’s complex world, small part machining and close tolerance machining simply cannot be performed without CAD design, CNC machining centers and qualified staff. Once programmed, a CNC machining center can reproduce the same part to the same close tolerance machining requirements over and over. Small part machining can take place in a controlled atmosphere and replicated to the exact standards regardless of changes in ambient conditions. Close tolerance machining can be maintained throughout the duplication process as the CNC machining center can compensate for environmental changes. Prototypes to production manufacturing is completed seamlessly. Once your small part machining or close tolerance machining project is programmed in the CNC machining center equipment, it can move from the prototype phase to production effortlessly, thus saving time and money. Changes or revisions to the close tolerance machining specifications can be made and tested quickly and efficiently, eliminating the need to perform meticulous manual calculations and adjustments. These are just a few of the reasons automated machining can benefit you in your prototypes to production manufacturing project. JW Machine’s experienced operators, coupled with our CAD design and CNC machining center equipment, ensure your small part machining and/or close tolerance machining projects can be completed efficiently and on time. Contact us today to see how our prototype to production manufacturing services can transform your idea into reality!